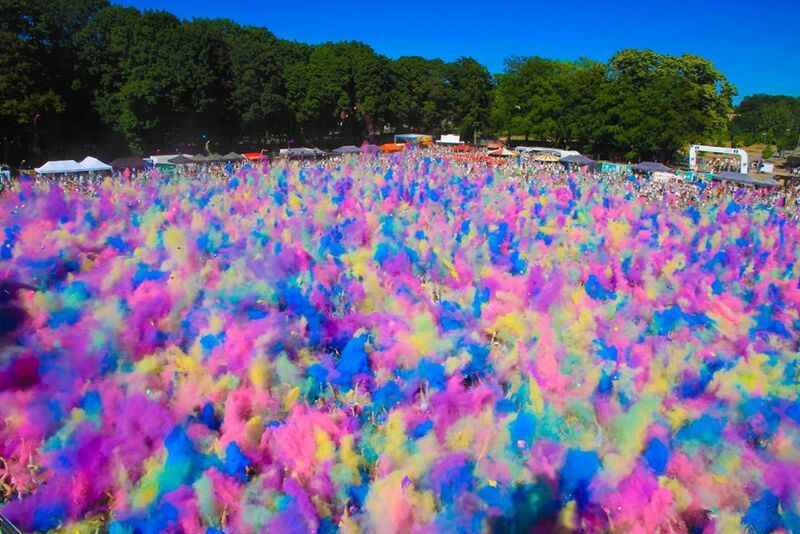 In the summer of 2012 the first Official Holi Festival was organized in Berlin. The colourful festival, which is originally from India, turned out to be a great success. In 2013 and 2014 you were able to visit a Holi Festival almost every weekend and all the large cities in Germany have been homebase to one of the Festivals of Colour. Will 2015 also be a colourful year or has the hype come to an end? 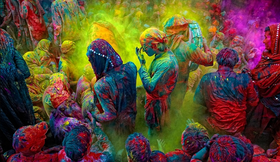 The Holi Festival was originally born in the north of India. Every year, when the winter comes to an end, the Indian people celebrate the arrival of spring and the victory of good over evil. One of the central aspects of the Holi Festival is the Gulal, the coloured powder. During the Holi Festival everybody is allowed to throw Gulal at eachother and this creates a colourful and very unique scenario. Differences in age, gender, religion or status do not count anymore: Everybody is equal during the Holi Festival. Although the biggest hype around the Holi Festival is already behind us, you will still be able to visit some colourful festivals during the summer of 2015. The biggest and official organisation behind the Colour Festivals in Europe is the Holi Festival of Colour and they will organize Holi Festivals in 12 different cities in Germany this year. Besides that there will defenitely be some smaller Holi Festivals in 2015 as well, but we do not expect this summer to be as coloured as last year. 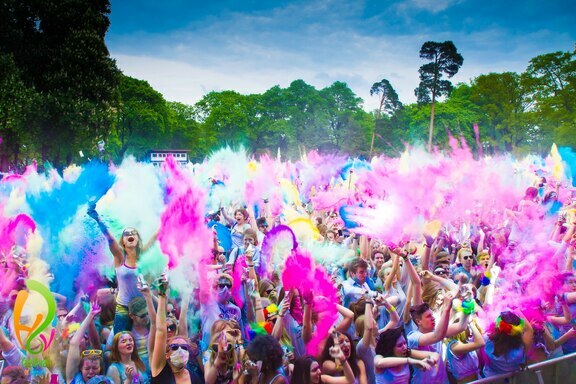 The first German Holi Festival will be organized on the 16th of May in Stuttgart. Last year Berlin the Holi Festival in Berlin was organized quite early in the season but this year it is the turn of the German capital on the 8th of August. The Holi Festival in Berlin will be organized in the Reiterstadion in the west of Berlin. The Reiterstadion is a large grasscourt which is normally used for horseriding. This location will be transformed into a party-location on the 8th of August. 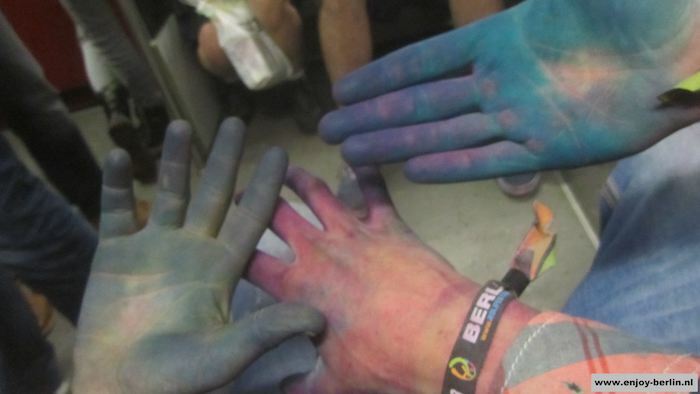 It is easiest to reach the Holi Festival in Berlin by foot from the station Olympiastadion (stadium Hertha BSC). The line-up of the Holi Festival 2015 is already available as well: Thomas Lizzara, Bombay Boogie, Soundsystem and K-Paul will be present this year. 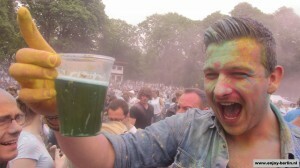 Obviously, the Holi Festival is a different kind of festival than you are used to visit. Last years I went to both Holi Festivals in Berlin (read the review) so I might be able to give you some tips for a more effective, funny and great Holi Festival 2015. A pretty obvious tip: Do not put on your most fancy clothes. Normally the coloured pulver can be washed out of your clothes but still it does not make sense to wear your newest set of clothes to a colourfestival. Instead of that, wear white clothing. In the beginning it might look boring but in the end of the Holi Festival you will look unique and awesome. Do not drink your precious drinks in the middle of a crowd, especially not when there is going to be a countdown. Beer and pulver is not a great combination. Take a disposable camera. It will not be a problem if it gets dirty or lost and you will laugh about the photos one week later. The Holi Festival 2015 in Berlin will start at 12.00 and the last countdown will be at 21.50. So it is best to visit the festival early! The coloured powder is available for 2 Euro (100 gram). You can also pre-order the powder but I don´t really see the use of this, there are no long lines at the places where the powder is sold. Starting tomorrow 21.03 at 12.00 the the tickets for the Holi Festival of Colours 2015 are available on this website. The price is very reasonable in my opinion: For 19,99€ you can be part of the Holi Festival in Berlin. 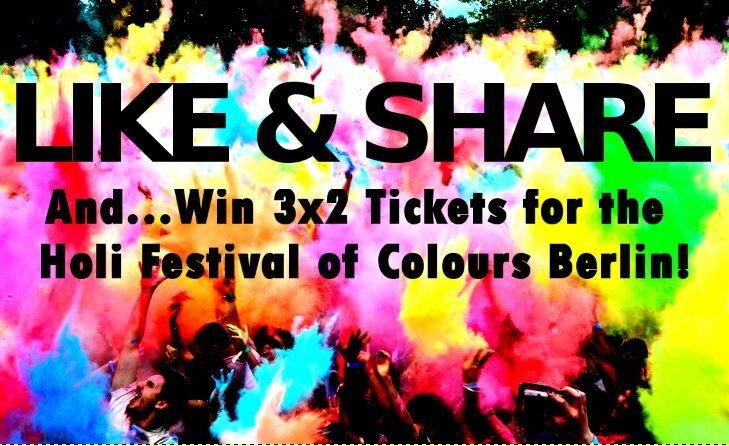 But for some lucky readers of Berlin-Enjoy there is no need to buy tickets: We giveaway 3×2 free tickets for the Holi Festival in Berlin and all you have to do is like our site and share this image on Facebook. On the 1st of August we will announce three names on Facebook of the winners of the giveaway Holi Festival Berlin. Most of the Holi Festivals in 2015 will be organized in Germany. But the organisation of the Holi Festival of Colours also organizes festivals in Spain, Italy, Mexico, Chili, Afrika, Holland and many other countries. If you do not have time to visit Berlin, you might want to check out this website.